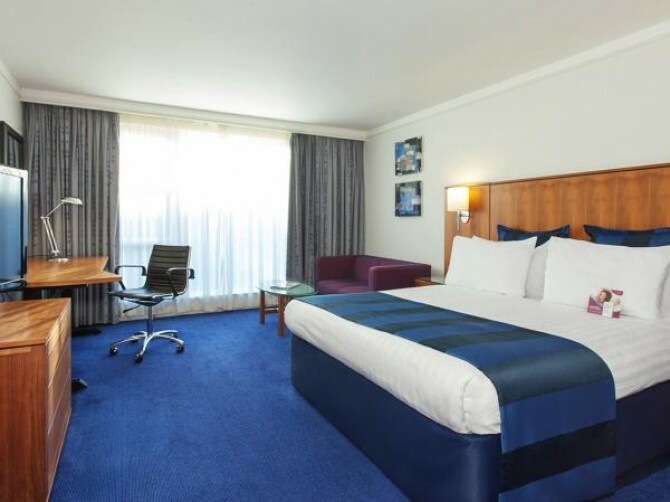 The stunning King rooms at Crowne Plaza Marlow offer all the benefits of our Standard Rooms with the bed upgraded to a King size bed and upgraded toiletries. With complimentary wifi, 42” flat screen TVs with on demand movies and extensive freeview channels, our King rooms offer the perfect environment in which to enjoy your stay. Upgrade to a King Room for only £15.